UNBOXING: Pigtails Collector’s Edition. Have a look at what to expect from this AllTheAnime.com Exclusive set!. The time has finally arrived! 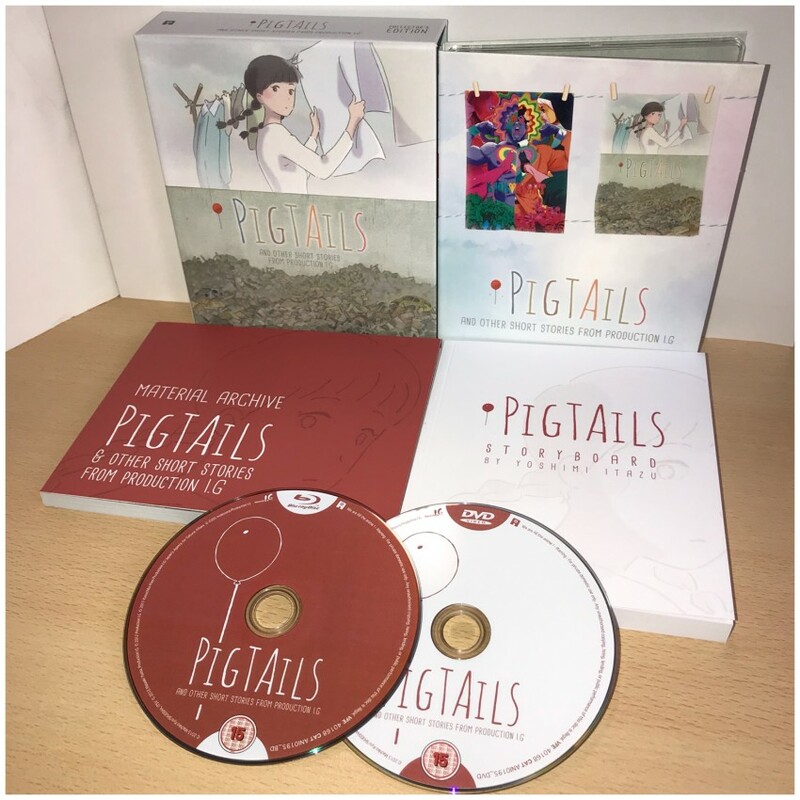 It's been a long time since we first announced we'd be bringing a collection of short films from Production I.G to the UK, but we're delighted to say the wait is over as our AllTheAnime.com Exclusive Blu-ray/DVD Collector's Edition release of Pigtails and Other Short Stories from Production I.G has arrived at All The Anime HQ and is shipping from our online shop now! This post is going to give you a rundown on what's included in this set along with a photo and video unboxing of the finished product! 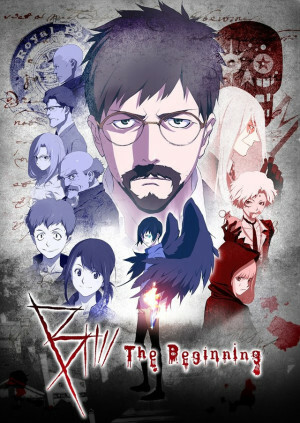 The world famous Production I.G have been involved in some of the biggest, unique and ambitious anime to ever grace a cinema or television screen including Ghost in the Shell, B: The Beginning, Eden of the East and Giovanni's Island, but they've also produced some perhaps lesser known works that give an equally unique viewing experience. This collection of short films brings together 5 works in particular for the first time to the United Kingdom. 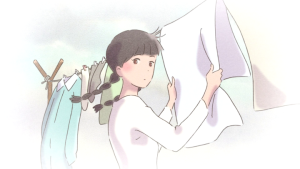 -- Pigtails is the directorial debut of up-and-coming animator Yoshimi Itazu (Miss Hokusai, Paprika, Denno Coil). Based on the Osamu Tezuka Cultural Prize-winning comic book Mitsuami no Kami-sama by Machiko Kyo, and visually inspired by Derek Jarman's garden in Dungeness -an oasis of life and beauty growing in front of a nuclear power station- the film metaphorically depicts the conflicting and unspeakable feelings that engulfed the author in the aftermath of the earthquake, tsunami and nuclear disaster of 2011, and faithfully recreates the contrast between Kyo's naïve-looking designs and the story's extreme and thought-provoking twist. -- Kick-Heart is a creative effort by award-winning Japanese animator Masaaki Yuasa (Lu Over the Wall, Night is Short, Walk on Girl), produced by an international team of professionals under the umbrella of Production I.G, and financed through the Kick Starter crowd-founding system. Synopsis: Kick-Heart is a love story between Romeo, a successful pro-wrestler, and Juliet, a nun who lives a secret double-life as a female pro-wrestler. Romeo's secret is that he enjoys taking a beating in the ring, while Juliet feels invigorated when facing her opponents as a wrestler. When the two meet in the ring, the fireworks fly. Their story is set in the colourful backdrop of the professional wrestling world. Will Juliet reveal her true identity to the one she loves? Will Romeo be able to share his secret to the world? 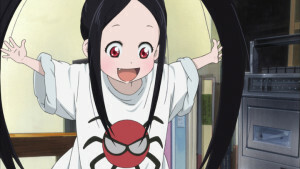 -- Li'l Spider Girl (aka: Wasurenagumo) is one of the four segments from the 2012 Anime Mirai ("the future of animation"), a collective project created by four Japanese animation studios selected by the Japan Animation Creators Association (JAniCA) under the patronage of Japan's Agency for Cultural Affairs for the purpose of training young animators on-the-job. 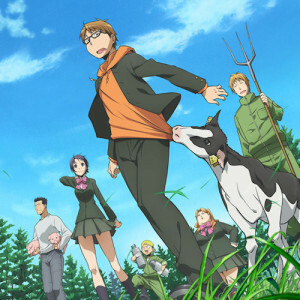 Anime Mirai debuted theatrically on March 24th, 2012. Synopsis: Everything started from an old book telling the story of an expert yin-yang master who defeated a giant spider in ancient times. Antique book dealer Amane Suzuri, who is trying to sell the book in order to pay the rent, would have never imagined that after reading this story to Mizuki, the building owner's young nephew, he could find himself face-to-face with a scared, twenty-centimeter-tall, eight-legged baby arachnid girl. And she's the sweetest thing in the world... or not? -- Created as part of the Young Animators Fostering Project in 2010, Drawer Hobs marked the directorial debut of Kazuchika Kise (who would go onto to be the chief director of Ghost in the Shell Arise and it's sequel film,) has worked on various anime as an animator, including being animation director on your name., Blood: The Last Vampire and Evangelion: 1.11 You Are (Not) Alone. The project saw all key animators being staff with less than five years experience, and also saw people who had worked on the likes of Angel Beats, Ghost in the Shell, Oblivion Island and Jin-Roh heavily involved as well. Synopsis: Noeru is a young woman with an uninteresting job who lives alone in an ageing apartment in a big city. One day, without notice, her mother sends her an old and bulky chest of drawers. Not exactly the most welcome piece of furniture for Noeru's small room! 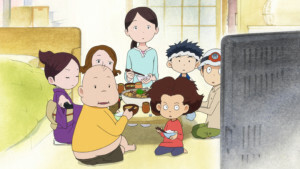 That night, as Noeru comes back from work, she finds a chubby little boy sitting on the floor and peacefully munching a pack of rice crackers. The next morning, she wakes up at the delicious smell of breakfast waiting for her on the table... but she does not recall of having cooked any! And isn't the kitchen all clean and tidy instead of the usual mess? And aren't there two weird kids in her room now? 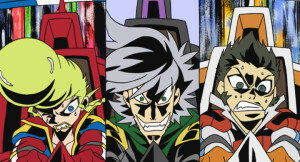 -- The masterminds behind the outrageous anime Dead Leaves, Hiroyuki Imaishi and Imaitoonz, have teamed up once again in 2005 to create Oval x Over, pronounced Oval Over, a promotional animation for the Bridgestone Indy Japan 300 Mile race. Composed of three 3-minute shorts, it is an experiment to portray Indy car racing with animation and music. The narrative style itself is a straight, over-the-top parody of the sports anime classics of the '70s, and cleverly mixes a professional-style live commentary of the race with flashbacks regarding the three main characters' past, with both dramatic and hilarious results. 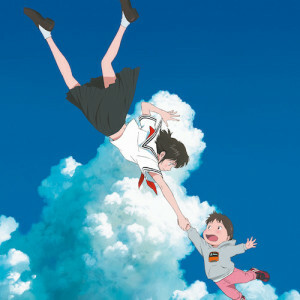 The animation staff also created the music video for the official song Over Top, performed by legendary singer Maki Oguro. First of all, as some of you may be wondering, this AllTheAnime.com Exclusive Collector's Edition set is the same height as our traditional Collector's Edition sets. 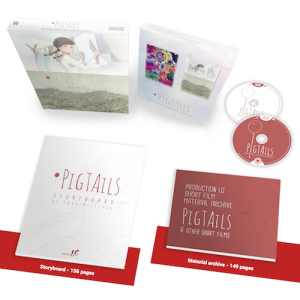 It comes packed in a rigid case and inside that you will find a digipack containing both the Blu-ray and DVD discs. In addition to that are two books! On the disc themselves you'll find each short film (as noted above). Each film is in Japanese with English subtitles only. You'll also find some promotional videos for some of the shorts as extras too. And there's also some information on Production I.G to conclude the book as well. Also worth noting that this set will be available at events that we (All The Anime / Anime Ltd.) are exhibiting at too. In a slight change from the norm, along with photos to show you we've also got a full video unboxing of this collection too! Check out the video and photos (which you can on click to enlarge) below. In a change from the norm we've also got a video unboxing in addition to the photo version. Check out the video below to see the video unboxing. 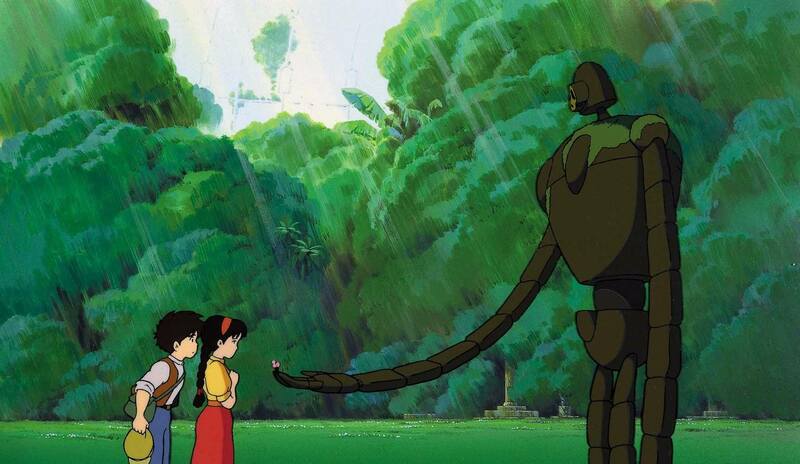 Hayao Miyazaki was initially unaware of the phenomenon of the “Balse Festival” that broke out on social media. The Balse was the spell of destruction, cast by the protagonists Pazu and Sheeta in Studio Ghibli’s first official production, Laputa: The Castle in the Sky. Over the years, fans in Japan began tweeting the word “Balse” when the film was shown on TV, leading to a mass internet event in 2016, when to mark the 30th anniversary of the film, an onscreen countdown urged everybody to tweet at once. At the moment the characters uttered the magic word, the Japanese twittersphere blew up with 345,000 messages, all tweeting the same mystic term. Upcoming Releases Preview, 19/02/2019. Here's a glimpse of what's coming soon during the second quarter of 2019!. Following the news late last week that we’re bringing the first season of Castelvania to home video, it’s finally time to spill the beans on more of what you can expect from us over the coming months! I do want to emphasise from the outset that we can’t say everything that’s in the works, and we can’t give any release dates at this point and in most cases fully confirm contents. (We’d rather play it safe and confirm dates and details once they’re 100% locked in.) But you should know we have a large number of titles we’ve been hard at work preparing behind the scenes - including some that we know many of you have been patiently waiting for updates on. This is blog post is very much intended to give you visibility on a lot of what's in the pipeline. So with that in mind, let’s turn our attention specifically to what you can expect in the second quarter of this year from us. It’s going to be a long read, so sit back and get comfy. Well first of all, I’ve mentioned it once already but in case you missed the announcement or simply haven’t read it yet, Castlevania: Season 1 is coming to Blu-ray in the form of a Ltd Collector’s Edition release! You can read initial details about this HERE. So to kick things off let's talk about B: The Beginning! We'll be releasing the first series of this show during the second quarter of the year in the form of a Blu-ray Ltd. Collector's Edition set. We'll be the first English speaking territory to release the series on home video, and the the Blu-ray version will be getting our traditional style Collector's Edition treatment (which we'll be able to show you as soon as everything has been signed off). As well as the entire 12 episode season (with both English audio and original Japanese with English subtitles viewing options,) it's going to come with a book packed full of detailed information about the show that makes a tremendous companion to the series itself. We'll be able to elaborate on this more once everything is fully signed off, but we wanted to make sure we gave you a teaser for that! If you're not familiar with the series you can watch a preview for it below. First of all, a quick refresher for for folks that we will be the first English speaking territory to release this on Blu-ray! As things stand the first season will be coming during the second quarter of 2019. Season 2 will follow later in the year. The series doesn’t have an English dub, so it will be in Japanese with English subtitles only. Both seasons will be getting their own Ltd Collector’s Edition Blu-ray sets too! And for those wondering this series will only be released on Blu-ray. We’ll have more details to share with you soon, including contents and release dates, so please keep an eye out for more details as we can bring them! But you won’t have to wait much longer to own this wonderful series on Blu-ray. 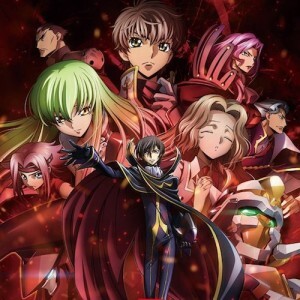 Code Geass: Lelouch of the Rebellion is a big favourite at All The Anime HQ and us being the first territory to bring the the first of the three 10th Anniversary celebration films late last year was a real treat! Since then we know that many of you have been wanting to know when you’ll be able to get your hands on the second and third films. Well, after some unexpected delays, we can now confirm that Movie 2: Transgression and Movie 3: Glorification will both be arriving during the second quarter of 2019, each being released respectively as Blu-ray Ltd. Collector’s Edition sets. As things stand the plan is to release both under a month or so apart from each other. 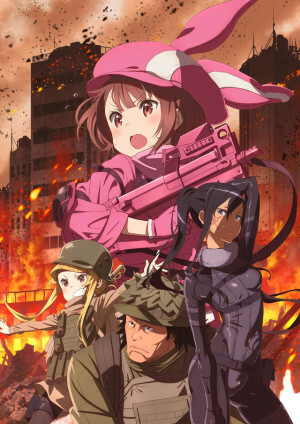 Back in October we announced would be bringing the series Sword Art Online Alternative: Gun Gale Online to Blu-ray and today we can confirm that Part 1 of the series will be arriving during the second quarter of the year as a Blu-ray Collector’s Edition set. 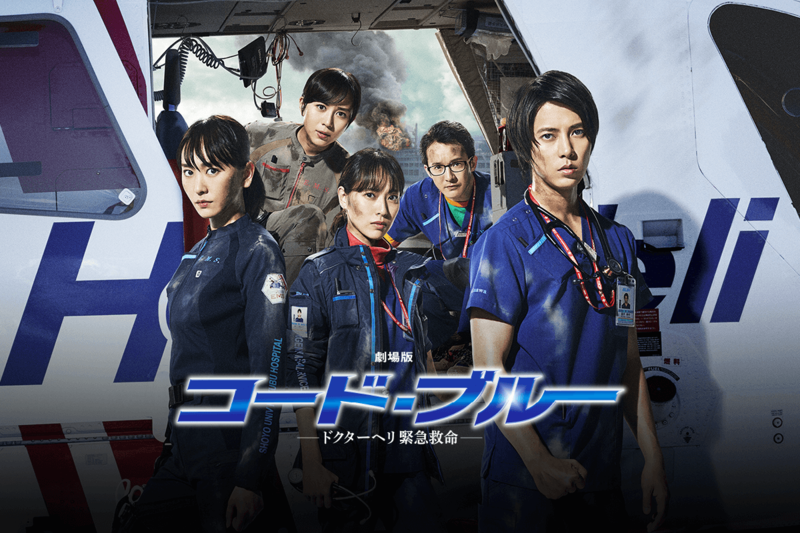 The series is being released over two parts total with Part 1 including episodes 1-6 with English and original Japanese with English subtitles viewing options. Though still pending approval, which is why we can't show you any visuals yet, we're hoping this Blu-ray Collector's Edition set also include an art booklet containing character art and information on the arms (aka guns/weapons) used in the show as well as some art cards. Plus for those of you wondering, we're also hoping to include the episode 5.5 recap episode too. We’ll have confirmation on the exact contents for this release for you soon, but we hope that gives you some indication on what we have planned. 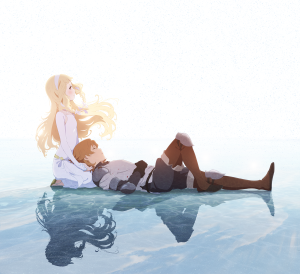 For those of you curious, we are authoring our own Blu-ray and DVD discs of Maquia and this is also a product we are creating in collaboration with our French label too. We know it's been a long wait for this, and we really appreciate you patience with this too. 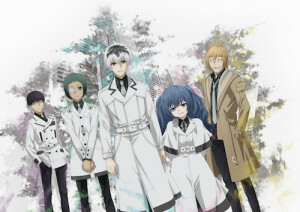 Tokyo Ghoul: re, the latest series in the hit Tokyo Ghoul franchise certainly turned some heads when it broadcasting for where the story take the viewer too. Focusing on a group of CCG affiliates known as The Q’s (pronounced Quinx). The first part of the series (episodes 1-12) will be coming to Blu-ray and DVD during the second quarter. It’ll be released on Collector’s Edition Blu-ray and standard DVD. More details on exact contents to follow soon! The Oscar nominated Mirai warmed the hearts of so many of you back in November when we brought it to cinemas across the UK & Ireland. We’ve heard from so many of you wondering when you might hear of news on a home video release of it. We're happy to say this will also be arriving during the second quarter of the year! While exact contents at this time are still being finalised, we can confirm that there will be a Blu-ray/DVD Collector’s Edition version, as well as standard Blu-ray and DVD versions available the same day. 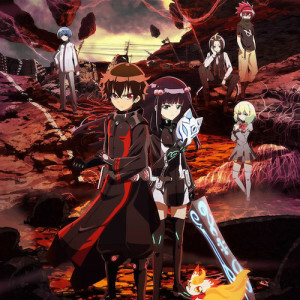 Twin Star Exorcists is a series that many of you have been asking for details on when you can expect more of it to be available. We're happy to report that the remaining three parts of the series will be coming starting during the second quarter of 2019. The plan being that over the course of three months you'll be able to add the subsequent volume to your collection. You may recall that the Blu-ray of Part 1 came with the box to store all four volumes of the series. We're hoping (pending approvals) we might be able to include little extra something in each remaining Blu-ray volume. We know it's been a long wait for these, so it'll be a nice little extra to help make good that. So stay tuned for more info that as soon as we can bring it to you. 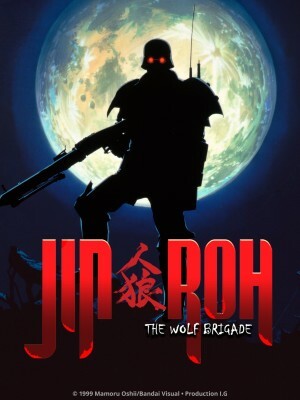 We've talked about a few films you'll be able to add to your collection soon, but if you've some a craving for something of a more classic feel that perhaps Jin-Roh The Wolf Brigade is one that you'd be interested. Set to be available for the first time in the United Kingdom on Blu-ray, this film from Mamoru Oshii (Ghost in the Shell, AKIRA) is sure to be one to add to your collection. More so as we'll be giving our Collector's Edition treatment as well! It'll be a Blu-ray/DVD Collector's Edition set that (pending approval and such) we're hoping will follow our traditional style Collector's Edition releases. All going well we should be able to elaborate with more details soon. Be on the lookout for more details coming soon. 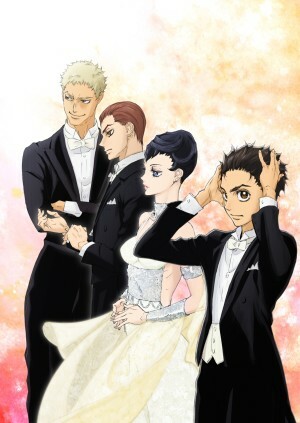 Another title that we first announced back in October last year will have it's first part arriving during the second quarter of the year, that being Welcome to the Ballroom. The series directed by Yoshimi Itazu (Pigtails). Part 1 will be coming as a Ltd Collector's Edition Blu-ray set during the second quarter of the year. (Pending approvals) it'll come packed in a rigid case with a digipack to hold the two Blu-ray discs. There will also be some additional physical items inside including an art booklet. Worth noting no English dub for this series was created, so it will be in Japanese with English subtitles only. And finally a quick mention that also on the docket is a series we've not mentioned in a very long time now that was created by Naotaka Hayashi, who was heavily involved in the creation of DARLING in the FRANXX, that being Plastic Memories. 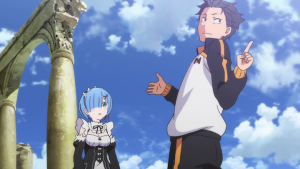 Plus there'll be an update on the highly anticipated Re:Zero coming very soon as well! All going well you can likely expect some details about this soon, but there's just a few things to we need to finalise and sign off on before we can spill the beans on this. Also, we completely understand there's been no news on the Ultimate Edition of Perfect Blue recently. Have no fear, it's not been forgotten about. It's simply case that it's a delicate project and we want to make sure the next time we mention in detail, it's full confirmation on what you can expect. All going well you can expect details on this soon. Expect to see updates on these as soon as we can bring them to you. We hope this helps give you an idea of what to expect from us. Like we say, expect confirmation on the details of all the above titles as soon as possible. 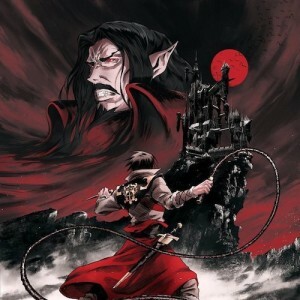 Castlevania Season 1 comes to home video from Anime Ltd.. Collector’s Edition Blu-ray release set to arrive during second quarter of 2019. We appreciate it's been a little quiet from us to begin this year but fret not as there's plenty in the works coming from us in 2019 - with details on what you can expect arriving next week, all going well. But today we've got some exciting news about a new title that we'll be bringing to Blu-ray this year! In fact, you won't have wait long for this as it's set to arrive during the second quarter of 2019! This new acquisition being the first season of the hit series Castlevania! SEASON ONE SYNOPSIS: "Trevor Belmont, embittered and excommunicated, finds himself drawn into a battle for the survival of Europe–a region that has brought doom upon itself by taking away the one thing its greatest monster loved." 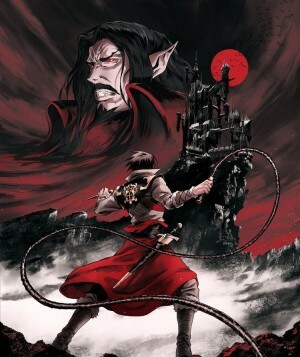 Adapting the story of the hit game "Castlevania III: Dracula's Curse" the series written by renowned writer Warren Ellis (Transmetropolitan, Astonishing X-Men) is a fantastic viewing experience for fans of the franchise and those completely new to it as well. The success of the first season on Netflix led to a second being produced and a third season also being green lit for production! WHAT CAN YOU TELL US ABOUT THIS RELEASE AT THE MOMENT? Well first of all I can tell you that we'll be giving the series our traditional style Collector's Edition treatment for the Blu-ray version of this. It'll be available on Ltd Collector's Edition Blu-ray on day of release. We can't share an exact date of release with you at time of writing, but we'd say expect this to be available to add to your collection during the second quarter of the year! While we can't show you what it will look like at this stage either - as the designs and exact contents are not 100% signed off at time of writing - if you're familiar with our Collector's Edition style releases then you'll have an idea on how it will be packaged. And we're also hoping to be able to utilise lots of art we have access to so we can include an art booklet as well. Obviously this is all pending approvals, but we wanted to give you somewhat of an idea as to what we're hoping to be able to do. 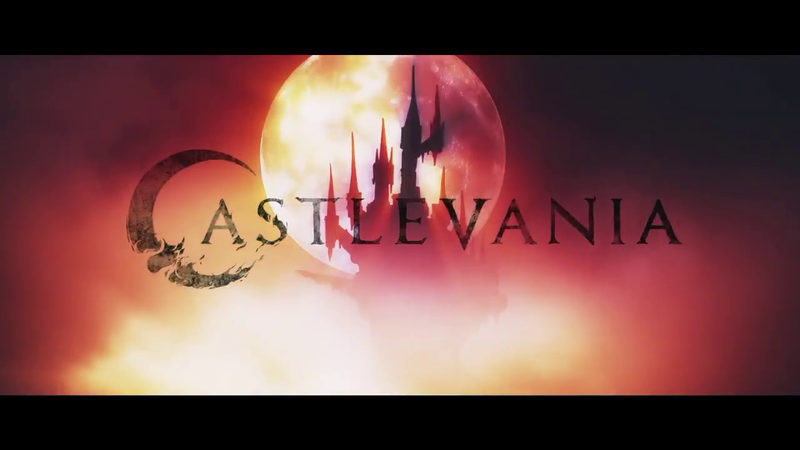 In terms of the disc, it will contain the entire first season of Castlevania (which for those unaware is 4 episodes total) and there will likely be some extra content included too. (We'll be able to confirm exact on-disc content once everything is signed off.) Also worth noting that we are authoring our own disc for this release, so we are not utilising any disc master that has been used in other English speaking territories. As soon as details are 100% signed off we'll be able to share more details with you, but we wanted to give you a preview of what (all going well) to expect in some form. And there you have it folks! 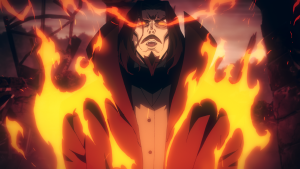 Castlevania season 1 coming to Blu-ray during the second quarter of this year! We hope you're looking forward to this. We certainly are. As we mentioned, as soon as all the details are 100% signed off on this Season 1 release we'll be able to share more concrete information with you about this.